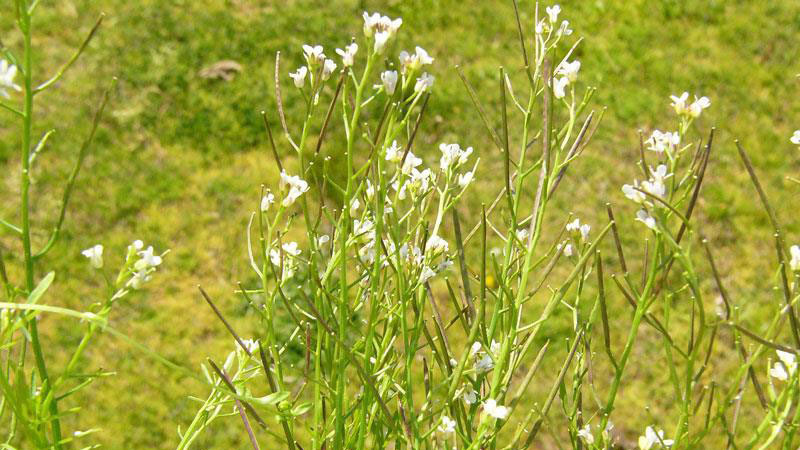 Hairy bittercress is a winter or summer annual weed (depending on location). 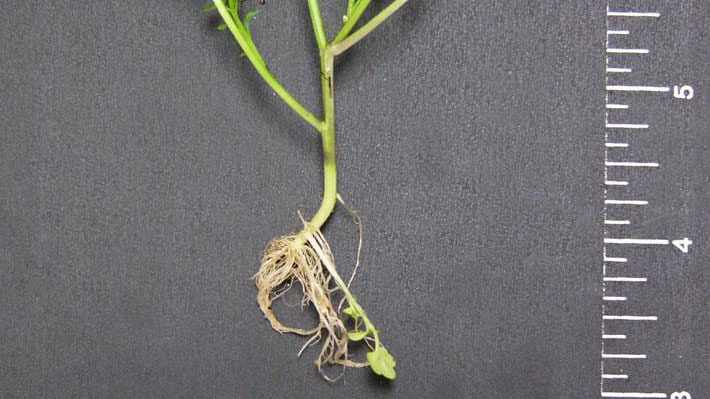 Stems can be 3-9 inches long, and the leaves are mostly on the lower portion of the stem in a basal rosette. Leaf margins are deeply lobed. 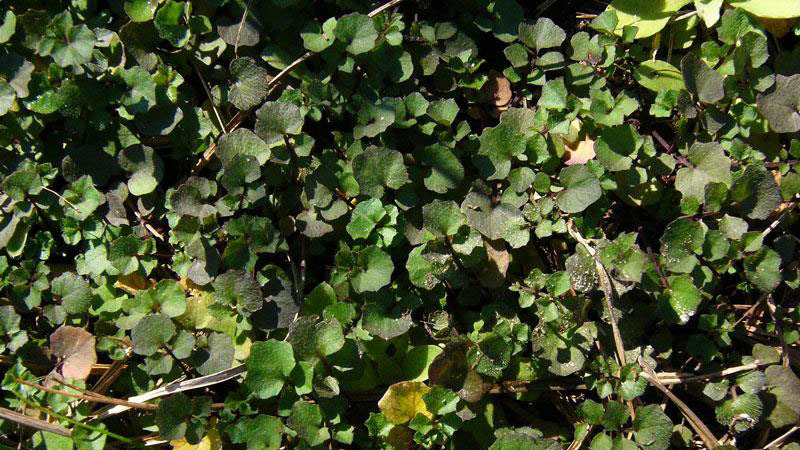 Leaves at the base of the plant are larger than the leaves at the top of the plant. Small hairs can be found at the base of the leaf as well as on the top of the leaf surface. 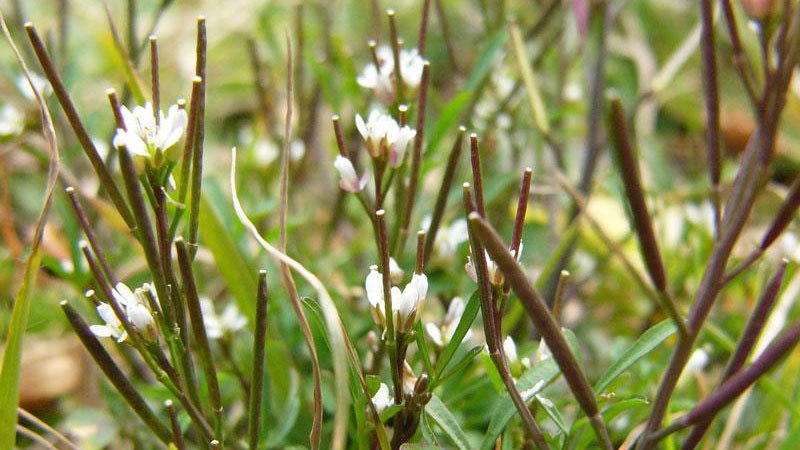 Flowers are small and white. Small round fruits (capsules) develop at the ends of each branch. Figure 1. 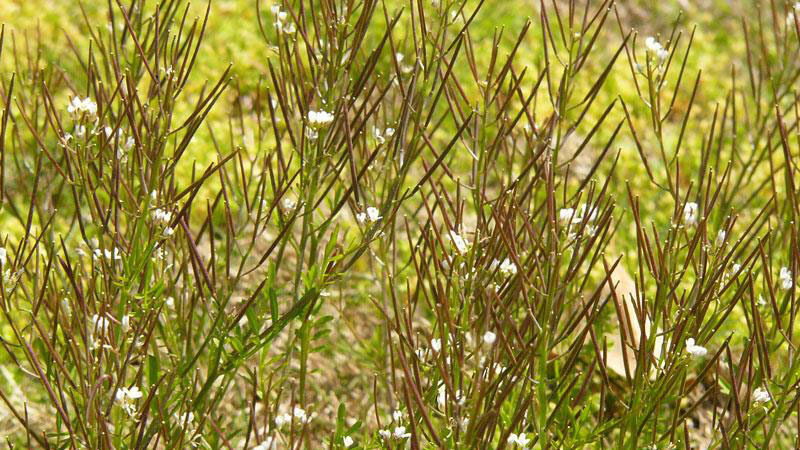 Hairy bittercress growth habit. Figure 2. 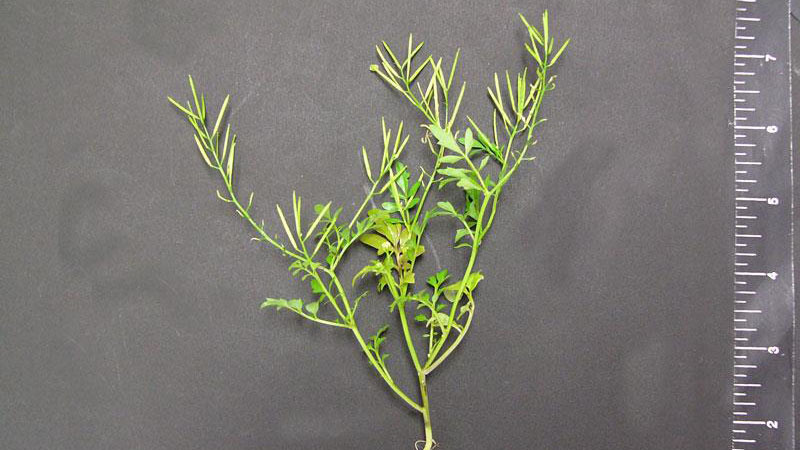 Hairy bittercress growth habit. Figure 3. 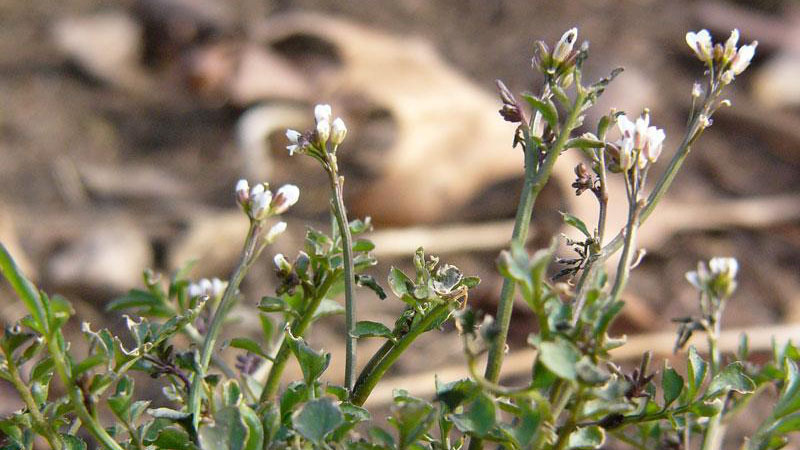 Hairy bittercress growth habit. Figure 4. 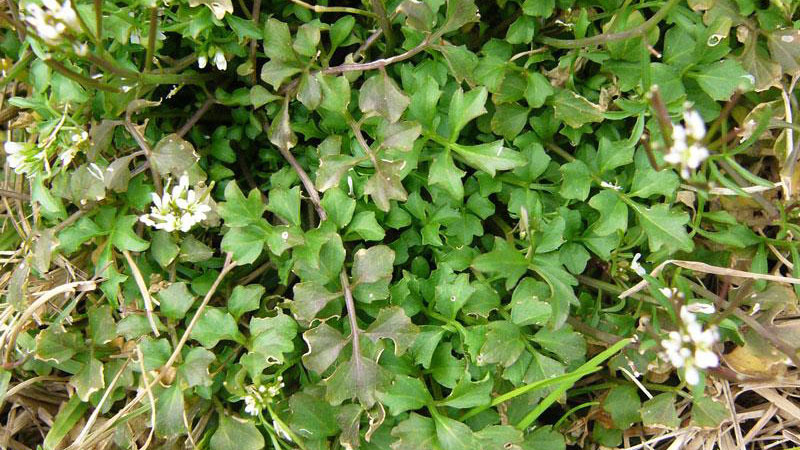 Hairy bittercress growth habit. Figure 5. 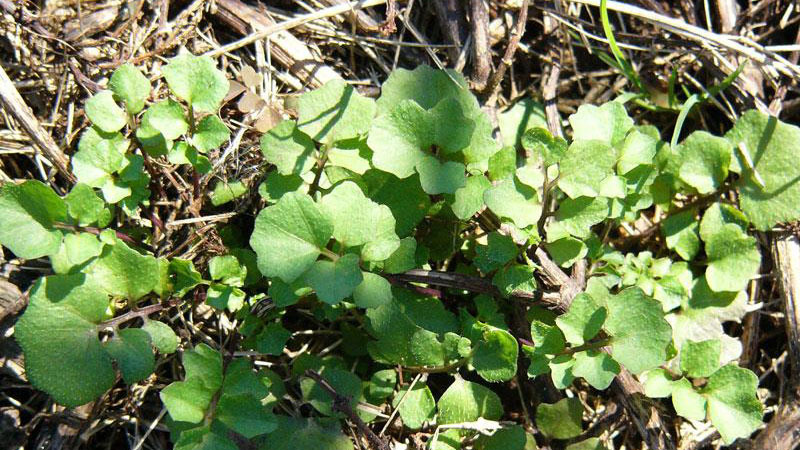 Hairy bittercress growth habit. Figure 6. 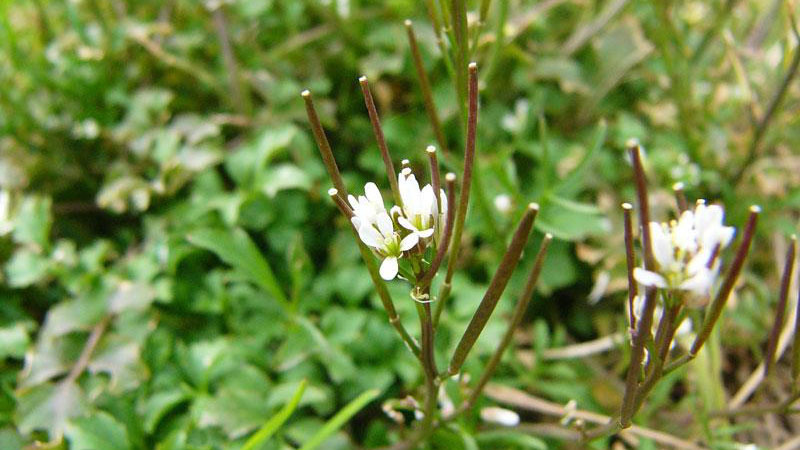 Hairy bittercress growth habit. Figure 7. 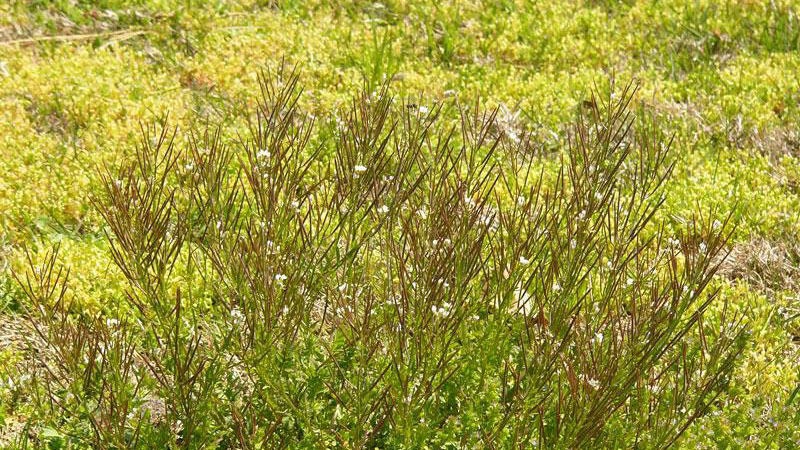 Hairy bittercress growth habit. Figure 8. 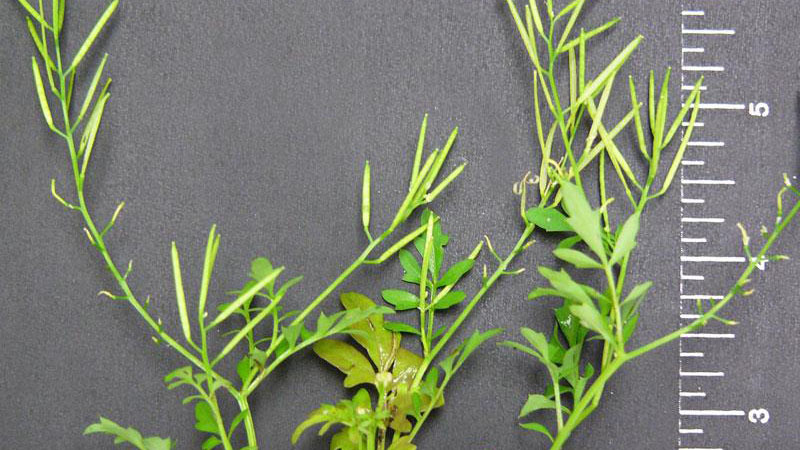 Hairy bittercress growth habit. Figure 9. 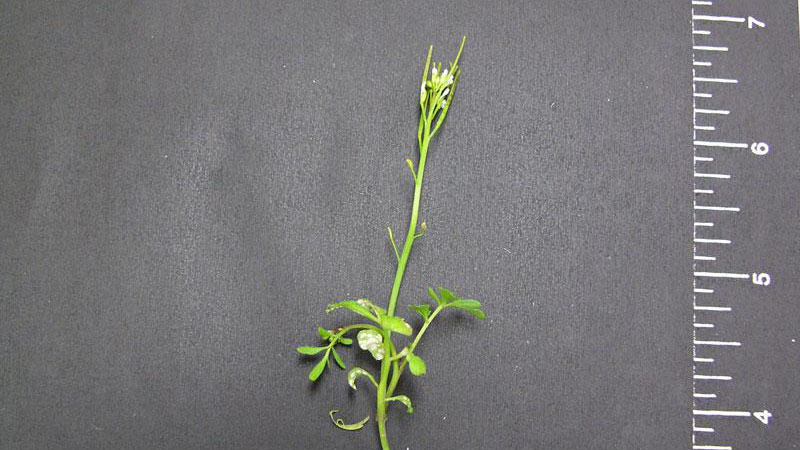 Hairy bittercress leaflet shape. Figure 10. Hairy bittercress leaf arrangement. Figure 11. 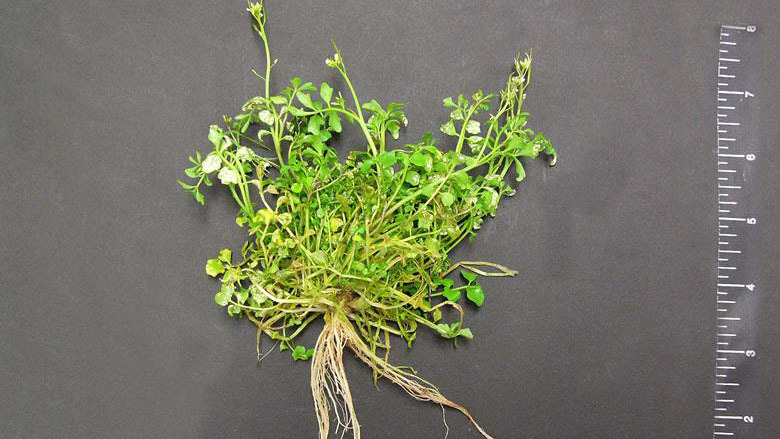 Hairy bittercress root type. Figure 12. Hairy bittercress flower color. Figure 13. Hairy bittercress flower color. Figure 14. Hairy bittercress flower color. Figure 15. Hairy bittercress flower color.